Melvil Dewey was an organizational genius. 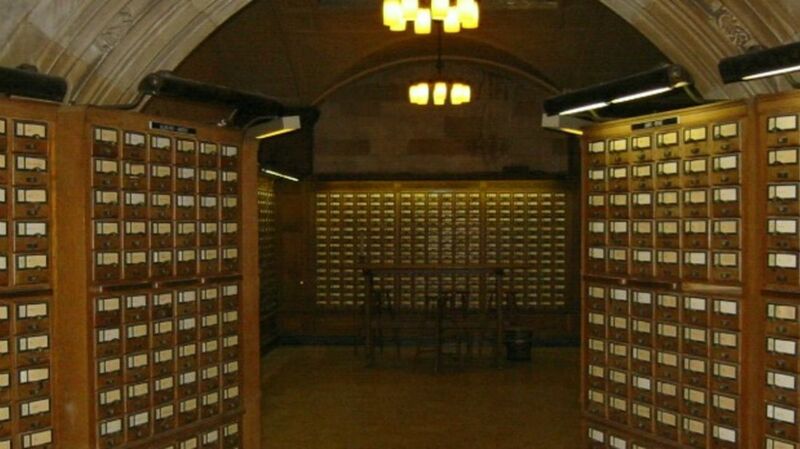 His brainchild, the Dewey Decimal System, revolutionized how libraries catalog and sort their books and periodicals. Before he proposed putting publications about similar topics together, each library used their own system, often based on the height of the books—not exactly the most effective method. And that wasn't Dewey's only contribution to the industry. He also co-founded the American Library Association (ALA) in 1876. But by 1906, he had been forced out of active participation in the organization he had helped to create and had been ostracized by most of his colleagues. What happened to make an outcast of the industry pioneer? Dewey may have had a brilliant mind, but when it came to the treatment of women, his ignorance was downright appalling. In 1887, Dewey started the School of Library Economy at Columbia College, where 90 percent of his students were female. It was long rumored that in addition to standard information like name, age, and background, Dewey demanded the bust sizes of his prospective students. While there was no truth to that particular rumor, he did ask for photos. “You cannot polish a pumpkin,” he was fond of saying. But the picture request was just part of a long history of scandalous behavior. He also subjected his two live-in personal assistants to unwanted touching. In 1905, the head of the Public Documents Division at the New York Public Library noted his inappropriate flirtations. This was also the year that Dewey embarked upon an American Library Association-sponsored trip to Alaska, where at least four women reported him for unwanted advances. (Dewey later referred to the incidents as rumors perpetuated by “several old maids of both sexes.”) And in 1906, he resigned from the ALA and several other roles due to various accusations of sexual harassment and anti-Semitism. Even though his career suffered and his friends turned away from him, Dewey didn't change his predatory ways. In 1920, Godfrey and Marjorie, Dewey’s son and daughter-in-law, moved from the home they all shared when Marjorie became uncomfortable with her father-in-law’s behavior toward her. And in 1930, the 79-year-old Dewey paid $2,000 to settle a sexual harassment lawsuit from his former stenographer. However we choose to catalog Dewey's deplorable behavior, one thing is for certain: It's a chapter of the ALA's history they'd probably rather skip over.